We’re currently experiencing an unprecedented population shift, something that humans haven’t witnessed since the time we moved from a hunter gatherer lifestyle to one of agriculture and settlement. For the first time in history, more people live in cities than anywhere else. This relentless surge towards cities means that, by 2050, the world’s urban environments will be home to 70% of the global population. Many cities are already struggling to cope. Living space is overcrowded. Transportation links are congested. The pipes and wires that deliver water, electricity and connectivity are already at capacity. 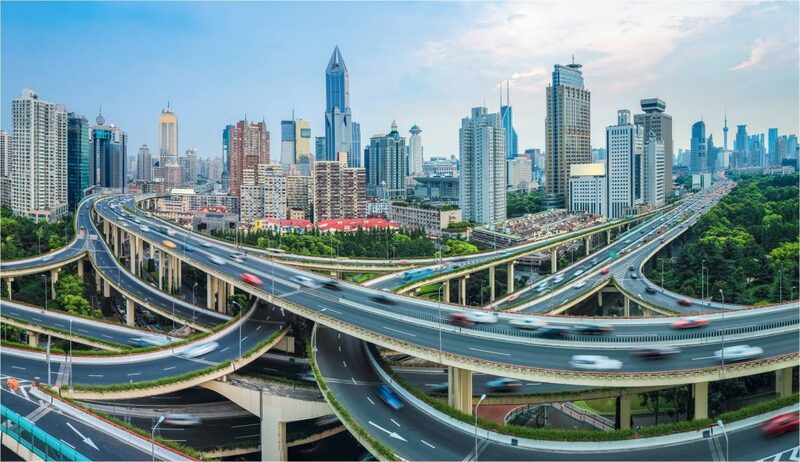 The only way to help the cities of tomorrow become more resilient to this ever growing demand and increasing pressure is to find smarter, more intuitive and user-friendly solutions today. Addressing is something that many of us take for granted. We have a home. It has an address. However, more than half of the world’s city dwellers currently lack a reliable addressing system. Without an address, residents are denied access to basic social and civic services. They struggle to open bank accounts or register a birth. Many have trouble accessing mains electricity or water supplies. Some are even ineligible to vote. To the eyes of the State they are, in effect, invisible. And it’s not just about the poor addressing of homes and buildings. Zoom in and consider what else is missing in the maps and directions we use every day. We are unable to define the precise location of any point in the city which lacks a street address – a specific park entrance, a piece of street furniture, or even a vehicle in distress. Effectively communicating these important details remains a serious challenge. As cities grow, what3words can accommodate this demand. Everywhere on the planet has already been pre-allocated a unique and fixed 3 word address. So, as the city limits expand, new buildings have a simple and reliable address waiting for them. It means City Hall no longer needs to hack existing postal addressing solutions to include additional housing. Nor do they need to extend zip codes or postal code references to account for these new developments. Instead, residents simply discover the 3 word address for their new home. And both businesses and local councils can start using these addresses as precise delivery points or location identifiers. 3 word addresses also play a vital role in addressing homes within the city limits. Cities are constantly expanding within themselves, both through urban regeneration and the constant sprawl of informal settlements. Providing these homes with reliable addressing is equally fundamental to the city’s long term resilience. In Rio de Janeiro, for example, 3 word addresses are being used to identify the homes of the city’s largest favela, Rocinha. Local delivery company, Carteiro Amigo, uses the what3words app to discover the 3 word address of its customers, sharing this information with a simple sticker attached to the front door. 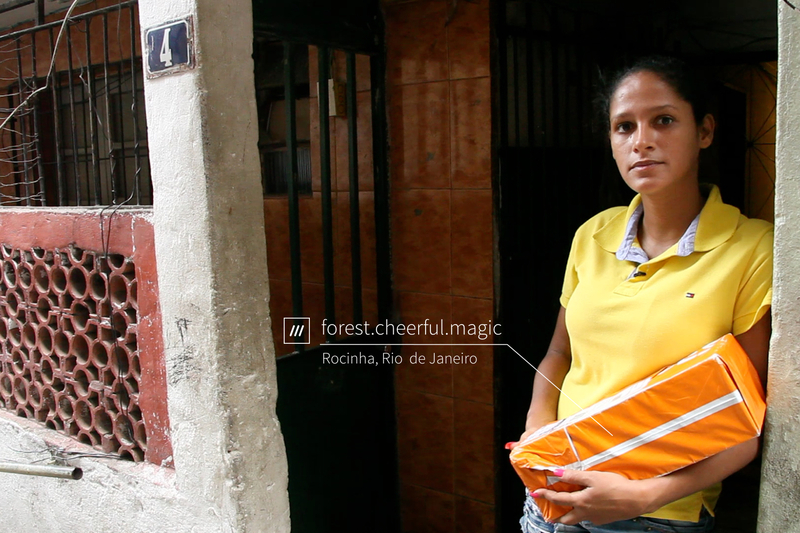 The favela residents can now get reliable deliveries straight to their door. They can flex their purchasing power and shop online for goods. They can receive important mail that would otherwise be sent to a regional post office or PO Box. And, most importantly, they have a universal way to identify precisely where they live. It’s not only urban living that can benefit from a 3 word address. The migration of people into the city is also putting a strain on municipal operations. Even here, 3 words can provide a more resilient solution. Whether traffic lights, electricity sub-stations, telephone exchanges or even trees in a park, identifying the precise location of assets within a city can help local governments maintain operational control and improve overall efficiency. In Botswana, Videre Global is already using 3 word addresses to identify the location of their solar powered lighting units. Knowing the precise position of every unit is helping the company optimise future maintenance cycles. This not only provides cost savings and efficiencies for the company, it also ensures a more reliable service to residents. In Denver, the Metropolitan Area Communication Center has tagged the 3 word address location of over 57,000 fire hydrants. Emergency response is a critical factor to any city’s resilience and the ability to rapidly locate the nearest water source means fires that could otherwise rage out of control are tackled swiftly. In fact, the implementation of 3 word addresses can have far reaching benefits when it comes to responding to shocks – at both an individual and citywide level. A 3 word address will identify the exact location of a police station or a hospital, down to the front door of the hospital’s accident and emergency entrance. 3 words addresses are also already in use in pinpointing the location of flood defences, as well as helping to coordinate recovery efforts and identify safe refuge sites in the aftermath of a major flood. And with many cities around the globe located in flood risk areas, mitigating the impact of flooding is another key factor to maintaining resilience. Mobility is a burning topic in urban development. As cities grow, so will the frequency and volume of journeys around them. Optimising transport around cities, to help minimise congestion and reduce pollution, makes for a more resilient transport network. And a crucial part of that solution is in knowing both where you are and where you need to go. 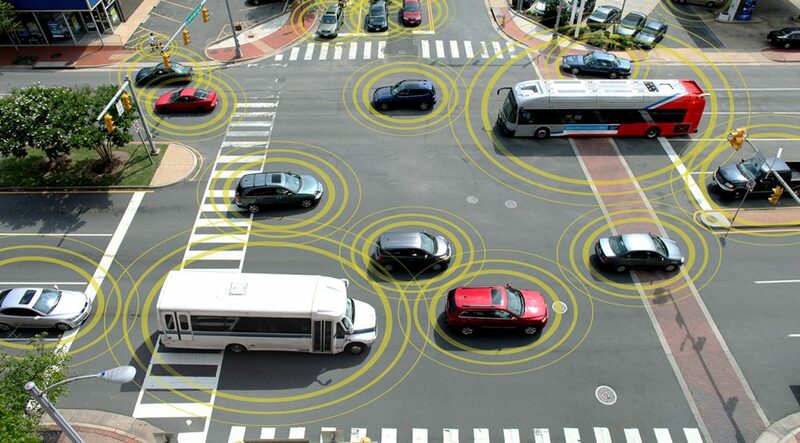 Imagine driving through a city and simply telling your navigation system the 3 word address of your destination. Not just the building number or the shopping centre name but the three words that identify a specific entrance to that building, or the exact spot where the car park entry gate can be found. And then you can continue driving, with 100% certainty that you’ll get there. Taxi journeys around the city can also benefit from the introduction of a 3 word address. And it’s something that what3words is already doing through its partners in both India and Australia. Bike taxi firm, Bikxie, operates on the chaotic streets of Delhi, where poor addressing means pick up and drop off points are difficult to identify. Now, with what3words, customers can specify the start and end points of their journey, down to a 3m x 3m point on a street or a particular building entrance. It means passengers benefit from safer trips with less waiting around and Bikxie drivers no longer waste time, money and fuel searching for their next ride. In Australia, city dwellers can now book their Uber rides via a 3 word address, thanks to a what3words partnership with TripGo. The multi-modal transport app is a prime example of smart technology for resilient city living – calculating the ideal mix of public and private transport to get around the city. The service already accepts 3 word addresses for its ‘From/To’ points on a journey. And now with Uber added to the app, part of that journey can be via the revolutionary taxi service. In fact, getting around the city in general becomes easier and more efficient when you know exactly where you are and where you want to go. By integrating 3 word addresses into these navigation apps – such as TripGo or Navmii – individuals can optimise their journeys, improve travel times and reduce the overall burden on public transport networks. Providing an accurate and universal addressing system for our cities will have a huge resilience impact on these urban centres. 3 word addresses offer a quick to implement, robust and scalable way to address anything, from homes and buildings to street lights and fire hydrants. 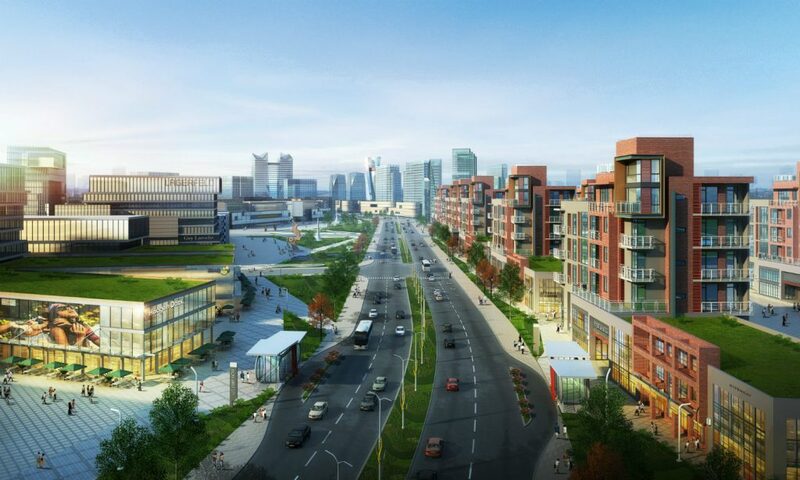 It’s a simple solution that can help strengthen the resilience of cities long into the future. And it’s a service that’s already in place today.